Please the Palate is your marketing, branding, events, promotion and education source in the wine and spirits industry. Owner Allison Levine explores the world while traveling for her clients, sharing her experiences about the people she’s met and the places she’s been through her blog. Please The Palate Pick of the Week: The Funk Jamai... 1 Vote Up! Please The Palate Pick of the Week: Seedlip Cockta... 0 Votes Up! Pineau Des Charentes, a Spirited Wine from France 0 Votes Up! Please The Palate Pick of the Week: The Distillery... 8 Votes Up! Tropical Drinks Will Refresh You at The Mermaid LA 0 Votes Up! Day (and Night) Drinking at Bar Joe (at Spoonfed) 0 Votes Up! From Farm to Table at Flora Farms in Cabo 3 Votes Up! 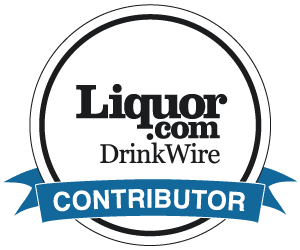 Please The Palate Pick of the Week – Cuban Daiquir... 1 Vote Up! Went to Chicago and Ate Nepalese Food at Chiya Cha... 0 Votes Up! Please The Palate Pick of the Week: Chios Mastiha 0 Votes Up! Geezer’s Public House in Woodland Hills, CA 0 Votes Up! Greenbar Distillery – Born out of love and built o... 3 Votes Up! Please The Palate Pick of the Week: Bar Toscana’s... 1 Vote Up! Celebrate Cinco de Mayo with a cassis cocktail 9 Votes Up! The Nickel Mine: Not Your Typical Sports Bar 11 Votes Up! Pacific Seas at Clifton’s Cafeteria 0 Votes Up! Three Experiences In One at Miro Restaurant in Dow... 1 Vote Up! Duke’s Spirited Cocktails, Healdsburg 1 Vote Up! Startup Stories Of Spirits Entrepreneurs: Encanto... 7 Votes Up! Startup Stories of Spirits Entrepreneurs: FEW SPIR... 4 Votes Up! Cocktails at Foreign Cinema, San Francisco 2 Votes Up! The Raymond in Pasadena – An old place that feels... 3 Votes Up! Messhall Kitchen – Comfort Food and Cocktails in L... 2 Votes Up! The Fiscal Agent – LA’s Best New Bar Is In Studio... 1 Vote Up! Startup Stories of Spirits Entrpreneurs: CATOCTIN... 2 Votes Up! The Heralded Return of Clifton’s Cafeteria, Los An... 3 Votes Up! Maru Santa Monica 0 Votes Up! Harlowe Bar West Hollywood 1 Vote Up!